Mazatlan has long been a favourite vacation destination for those seeking relaxation and rejuvenation amid a relaxed pace of life. 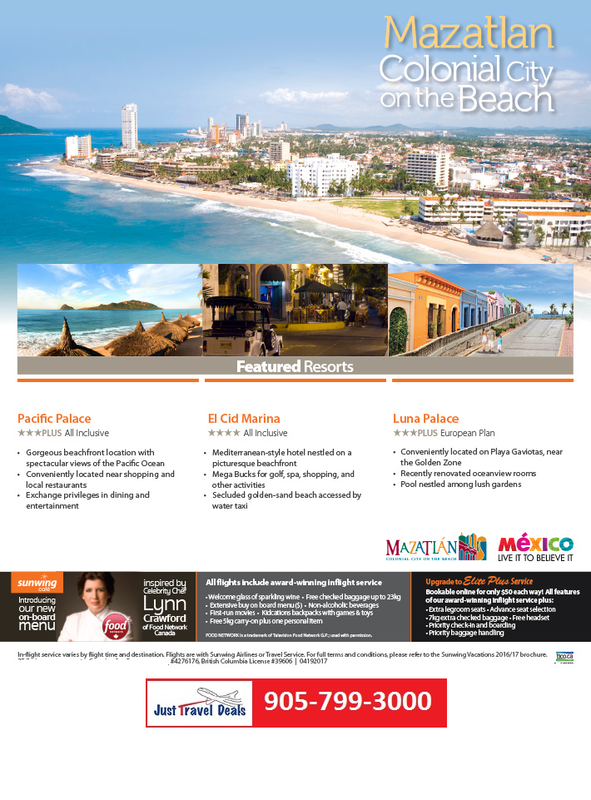 Located on Mexico’s Gold Coast along the Pacific, Mazatlan has been nicknamed the “Pearl of the Pacific”. With all of the traditional activities and opportunities for adventure and entertainment, you will discover that Mazatlan is devoid of the relentless push to “go, see, and do”. This glorious vacation destination offers some of the finest sport fishing in the region, as well as whale or dolphin watching. Families will enjoy Stone Island, which features horseback riding, boogie boarding, and snorkeling. Another favourite is the Aquarium where hundreds of kind’s of marine life are featured. Whether you seek unmarred relaxation in a pristine setting or you seek adventure and activity, Mazatlan offers it all amidst a relaxed and casual atmosphere.